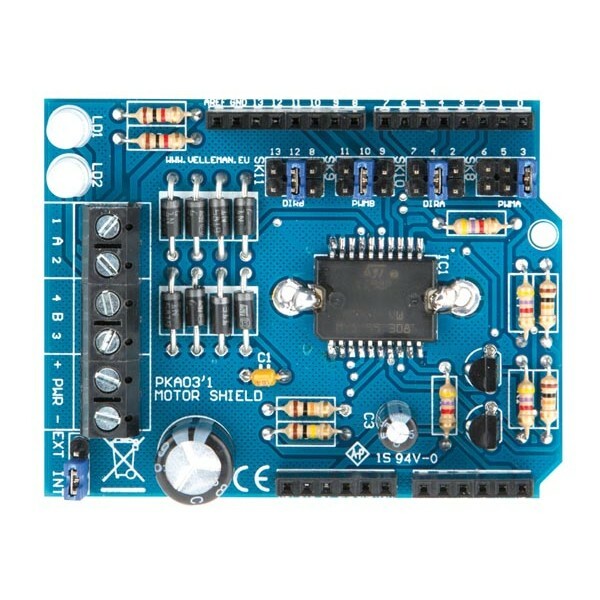 The Velleman Motor and Power Shield Electronic Kit allows your Arduino microcontroller to drive motors, relays and solenoids. 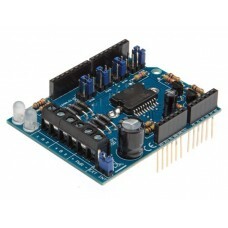 This kit provides two output channels using the popular L298P motor driver chip. 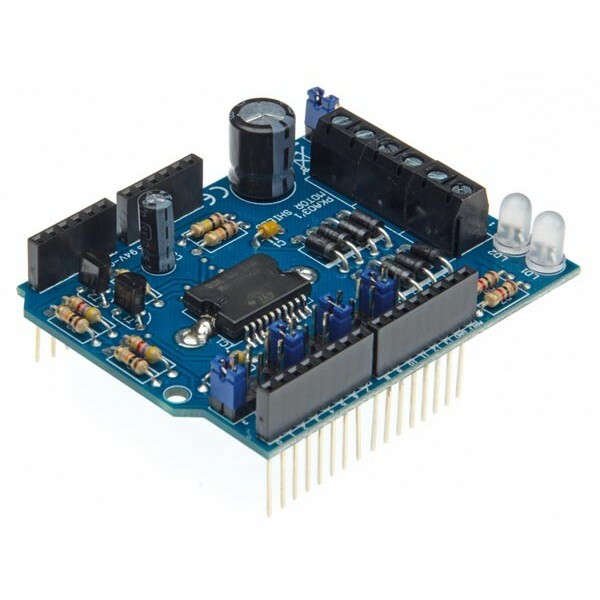 The motor driver can provide up 50 V at 2.5 A of power to each output channel. Power can be supplied from an external source via screw terminals or from the Arduino VIN voltage input pin. This Arduino shield is designed to be stackable. This electronic kit requires advanced soldering skills mostly due to the challenge of soldering the L298P chip.